Check out these six digital tools that are created to help entrepreneurs carry out various business expansion requirements. For entrepreneurs, business expansion is a big milestone. It means that you have proven your initial concept and you are ready to take on other markets. However, expansion also means a lot of growing pains. Supervising several locations, managing employees remotely, and overseeing inventory for multiple stores are real concerns that even seasoned entrepreneurs find challenging. But we now live in a world where drones can deliver our online orders, and where you can set up a grocery store inside the subway. Surely, there are tech solutions that can help ease your expansion. So here is a list of accessible and affordable digital tools that even the most non-techie entrepreneurs can use to make their lives easier. A downside to branching out to different locations is that communicating and collaborating on more complex tasks becomes a challenge. There are just some things that are better explained and worked on in person. Making announcements, discussing decisions that need to be made, providing collective feedback, as well as planning and organizing, become much harder to do through email or over the phone. Talks and presentations also become limited to only the members of the company who are present on-site. Video conferencing has been widely used by successful companies who handle multiple branches in order to keep their members in-touch with one another and avoid miscommunication. When it comes to a professional setting, a very affordable videoconferencing service used is Fuze (they have free, pro, and premium versions). Fuze can connect up to 125 people, and they can share computer screens and presentations. The paid version even allows members to collaboratively compose and edit documents and videos. Of course if you want more lightweight (yet very efficient) options, there is always Skype (up to 25 people) and Google Hangouts (up to 10 people). When your employees are based in separate locations, it can be hard to keep track of their attendance, punctuality, fieldwork schedule, and even attire. Studies show that as an organization grows, the tendency towards absenteeism and lateness is increased. This is presumably due to hierarchical management strategies and relative anonymity. There is also the issue of payroll. Without an efficient system and the proper technology, filing employment taxation, calculating wages and other deductions, and of course, payment of employees would be a very tedious process. PayrollHero, a three-year-old start-up, has changed the way companies look at payroll. Their technology uses facial recognition and geo-fencing, so employees can clock in by taking a selfie when they arrive at the workplace or at the site of fieldwork. While it sounds cool from the POV of employees, it’s even better for HR and business owners. Usually, payroll processing can take hours, even days, especially for an undermanned company. PayrollHero can cut this time into a few minutes--HR can resolve attendance infractions regularly (no need to wait for the cut-off), and they can generate payslips for attendees in just a click. It also automatically calculates deductions for SSS, Philhealth, and Pagibig, and takes care of filing the forms for you. All this is done in a matter of minutes. 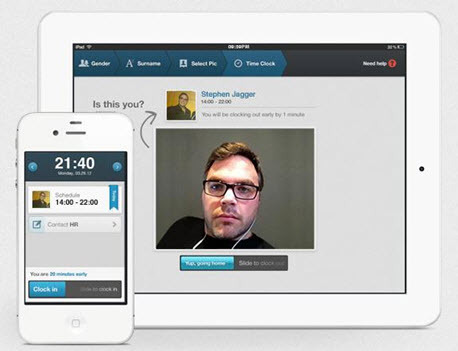 PayrollHero serves as a digital Human Resources personnel, only much faster and more efficient. PayrollHero has even released a new app (in beta) called Xray Insights, where managers can get real-time insights about their employees--such as who came in late today, who the early birds are, etc.--and monitor them from anywhere. When teams of employees are spread across different locations, managing collaborative tasks and projects becomes an issue. Tracking the progress of work-related activities via phone calls and emails can slow down the process considerably, while also posing the risk of miscommunication. 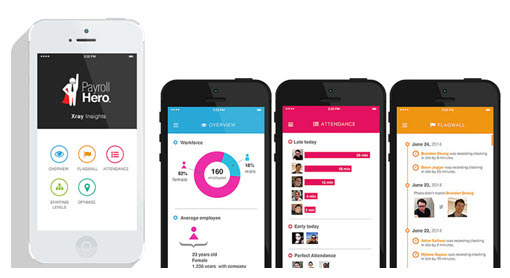 Asana creates a work environment that is both transparent and collaborative. Because the progress of each member is being monitored, Asana encourages employees to use work time productively and gain a personal sense of responsibility. When you cannot be physically present in different branch locations, it becomes seemingly impossible to monitor and control the behavior of your employees in the workplace. Even with an assigned supervisor, you cannot guarantee that everyone in each location is being well-monitored. Supervisors are human, after all. There is a way for one to be able to monitor activity in different branch locations anytime, anywhere. Mobile applications such as MEye, which is compatible with Android phones, allow you to access and control DVR, security cameras, and IP Cameras using your phone. Not only do these applications allow you to watch live surveillance streams, but you can also take snapshots as well. This way, you will be able to observe the activity of your employees, ensure that the tools and equipment are being used properly, and examine the condition of your branches. Managing a growing inventory can be daunting. Keeping track of sales, stock, accounting, and shipping for different branches can take up hours poring over excel sheets, and this is prone to costly errors. Sometimes, inventory information is not aligned across different departments and resource centers, which can lead to stockouts or inaccurate deliveries. For automated inventory management, TradeGecko is an easy-to-use tool taking care of sales management, stock handling, and order fulfillment in one platform. Since it’s cloud-based, information can be accessed in real-time by all parties relevant to your supply chain. 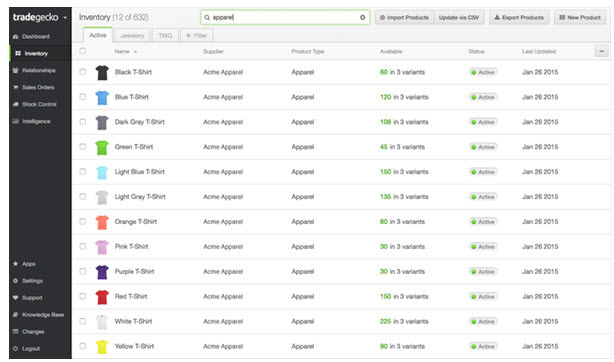 When something gets sold at any branch or channel, inventory levels are automatically updated. You can even view specific stock locations or warehouses to see what stocks are on hand, the last stock ordered, and running profit value. With all the data available, TradeGecko will let you optimize your inventory over time, helping you anticipate demand to avoid stockouts. TradeGecko works for both offline and online stores, in case you are venturing into e-Commerce. A singular company culture is an essential element in any company. When employees have a unified culture bound by the organization, it becomes easier for them to work together, having the same goals, ways of communicating, and work ethic. Personal interactions are integral in collectively building the company’s shared identity. It is this shared identity that binds them together as a team, giving each member a sense of responsibility towards the company, and more importantly, towards each other. However, another cost of branching out to multiple locations is the loss of personal interaction between employees. As your company expands, it becomes a challenge to maintain its culture without necessary interaction. Satellite employees will begin to feel dissociated from the company, losing sight of its ideals and mission. One easy way to maintain company culture using technology is to create an informal Facebook group for your employees. Here, employees will be able to post pictures, videos, and other materials that they believe would be relatable to their fellow employees. Knowing that they have an online circle wherein members will understand these concerns will allow them to develop a sense of unity and camaraderie with one another. Another solution is to set up a shared blog for your employees. A shared blog, which is made possible by open-source blogging tools such as Wordpress, would function in the same way a Facebook group would. You can even rotate responsibility of the blog, such that different branches or departments could lead it every week or month. However, it must be noted that leaders might want to establish certain boundaries when setting up a company blog or Facebook group. Some boundaries might include prohibiting or limiting the use of these sites during work hours, screening or banning content that is deemed to be inappropriate or threatening, limiting the accessibility of the Facebook group and company blog to company members only, and other precautions. Do not jump into business expansion ill-equipped. Otherwise, you might find yourself achieving less than when you only had one store to mind. We have grown so savvy with mobile apps and other digital solutions, and it’s time you take advantage of that in your business. Gabbie works at New Leaf Ventures (www.nlv.com.ph), a company that brings technology solutions from across the globe to businesses in the Philippines. She is subsequently taking up an MA in Psychology at the Ateneo de Manila University.